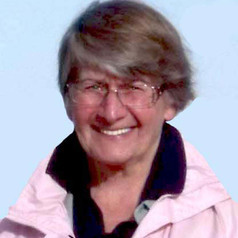 Professor Gisela Kaplan is an Emeritus Professor in Animal Behaviour in the School of Science and Technology. She is the author of over 250 research articles and 21 books, and has conducted ground-breaking research into vocal learning, communication and cognition of birds and other vertebrates. She has become a public voice for science on wildlife, especially native birds, and is regularly heard in public media. Professor Kaplan has been recognised by a series of awards for her research and writings such as a shared human rights award in 1994, a Federation Community Services Award in 2001 (for services to wildlife), a Wilderness Society Award (2005), as a winner of the Australian Publishing Association Award in the single book category (2005). Her book 'The Australian Magpie'. attained bestseller status by the publisher. and in 2016 her book 'Bird Minds. Cognition and behaviour of Australian native birds' was awarded the prestigious Whitley Award (behavioural zoology). Professor Kaplan serves on a variety of scientific research panels, on national granting bodies in Australia and elsewhere, is member of Editorial Boards of several journals, a member of the Springer series Board of Editors for its new Numanities series, is regular assessor for over 20 prestigious scientific international journals and in her spare time continues to participate in animal welfare debates, in environmental education and science interest in school children and the general public as well as rehabilitates native birds under licence.